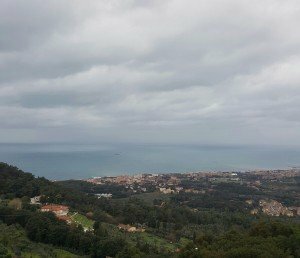 Even though it is still somewhere between winter and spring, and on the hills surrounding Livorno last weekend it was fairly rainy and grey, it is still a place that “walks in beauty”. Livorno is known as one of the most important ports in the Mediterranean Sea, being also one of the main ports of the Italian Navy, and as an industrial city. Anyway, in this article, I will not discuss ports or navy stuff, but rather wine, as usual. 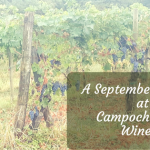 The reason I went to Livorno, and more specifically to Montenero which is situated on the hills south of Livorno, was to attend a wine tasting organised by PR comunicare il vino. Riccardo Gabriele had invited me to take part in this wine tasting together with Richard Baudains, a very well-known wine writer who writes for Decanter since 1989. We were tasting the different wines of the wine producers being clients of PR comunicare il vino. This was a great opportunity to be able to get to know a lot of producers, some of them new to me, and their wines, so I feel honoured to have been invited to this wine tasting. Hotel La Vedetta, which originally was called Villa La Vedetta, was built in the 18th century and first belonged to Baron Herman De Schubart who was a minister to the Danish king well into the 19th century. 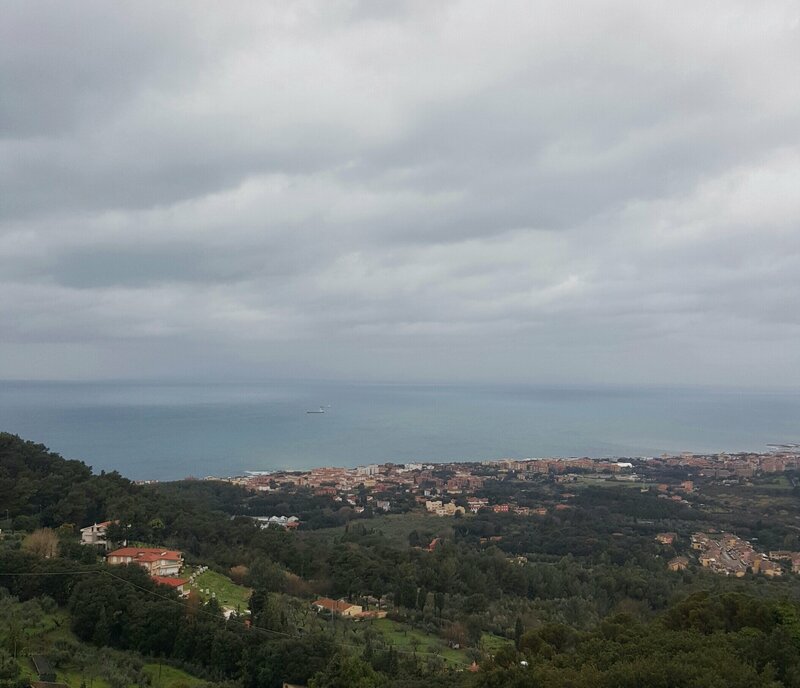 The villa got its name from the stunning view that you have over Livorno and the sea, especially from the roof terrace. Furthermore, in the early 19th century Montenero was also a popular place for great English poets such as Lord Byron and Percy Bysshe Shelley. Montenero is also known for its Sanctuary Madonna di Montenero, the patron saint of Tuscany. Today, Hotel La Vedetta and its owner Fabio Spadoni has developed a wine concept together with Riccardo Gabriele and PR comunicare il vino, namely Wineshotel. Their aim is to offer the possibility for guests to book custom made wine vacations or stays at the hotel. Thus, you can book a room named after a local wine producer with information and tidbits about the producer and his wines placed throughout the room. On the Wineshotel website, you can create your own wine and hotel “experience” by selecting the menu and the wines for your stay, book a guided wine tasting or a wine tour. This is an innovative way to create a holiday based on wine experiences in Tuscany. Thus, you can arrive at Hotel La Vedetta, check in and straight away head up to the roof terrace and sip on a glass of wine or Champagne. 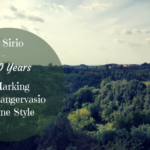 Furthermore, while you enjoy the spectacular view you can contemplate the rich history of the villa and the great English poets who once went roaming around the hills in Montenero. 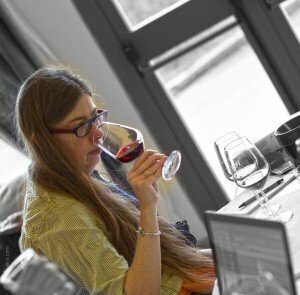 Want to taste wines in Montenero like me? Create your own wine and hotel 'experience' via Wineshotel! We arrived already Friday evening at the Hotel La Vedetta and had dinner together. 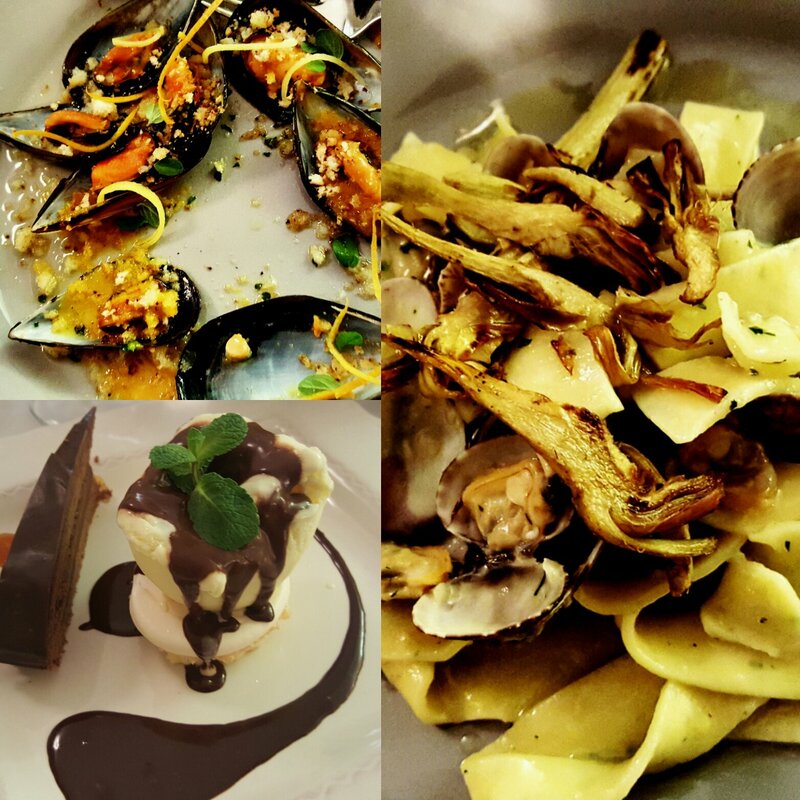 As you can see in the photos below it was a dinner on the basis of mussels and Champagne from Tribaut Schloesser in Romery, France. We had a Brut Origine which is 40% Pinot Noir, 30% Chardonnay and 30% Pinot Meunier. With the pasta course with mussels, we had their Brut l’authentique Millesimato 2008 which is 60% Pinot Noir and 40% Chardonnay. It is very interesting with fruity notes in the beginning and more mineral notes after a while. You also feel the presence of apple, peach and white fruits in general as well as an aftertaste of almonds. With the dessert, we had the Passito di Pantelleria Alcova 2012 from the producer Coste Ghirlanda. This passito is an explosion of aromas and taste, such as notes of apricot, bitter almonds, fennel, and a hint of spices. It is well structured and a delight to sip on. This passito can be paired with sweets but also with lighter meat dishes and cheese. Passito di Pantelleria Alcova 2012 from the producer Coste Ghirlanda, is a passito with an explosion of aromas and taste! The dinner was very enjoyable and also a great way to get to know each other better. For me, it was the first time I had the opportunity to meet Richard Baudains, and it was interesting to also during the Saturday listen to his knowledge about wine. Furthermore, I learned more about the wines and the producers we tasted from Riccardo Gabriele himself. Photo by Elisa Bosco who was the official photographer of the day. Richard Baudains. Photo by Elisa Bosco. 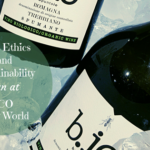 The other people who participated at the wine tasting were Elisa Bosco, Michele Tomei and Marco Maltinti who all collaborate with or have different roles within PR comunicare il vino. Riccardo Gabriele. Photo by Elisa Bosco. Here I will not comment and present tasting notes for all the wines, as it would become a too long article. So I will only mention some very few wines, and then give you a list of all the producers in a couple of days that you will be able to download directly from the article here as an added bonus. Sign up for my newsletter already today and I will send it to you directly. A lot of the wine producers are Tuscan but there were also producers from Piemonte, Umbria, Le Marche, Basilicata, and Sicily. 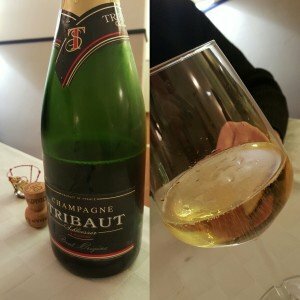 Of course, one of their clients is also from France, the Champagne producer Tribaut Schloesser that I mentioned above, but we did not taste their Champagne during the Saturday wine tasting. However, we, of course, had tasted their Champagne during the Friday dinner. So Tribaut Schloesser was also very much present during these two wine days. Even though I will give you a separate list of all the producers and their wines, I just wanted to mention a couple of wines here for those of you who might not be interested in the whole list. Alégre 2014 from Barone Sergio which is a 100% Grillo white wine. Here you feel the mix of flowers and fruits, some exotic fruits, as well as the notes of saltiness and minerality. You also feel the influence of the chalky soil of the area in the minerality of the wine. 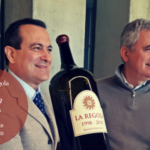 It is a wine where you feel the presence of Sicily. 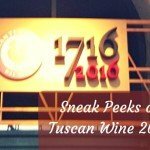 Ceppatella IGT Toscana 2011 from Fattoria di Fibbiano in Tuscany is a 100% Sangiovese wine. It is a Sangiovese wine where you feel the notes of red berries as well as black pepper, vanilla and tobacco. It is a structured wine with a good acidity and elegant tannins. Chianti Classico Gran Selezione DOCG 2011 from Tolaini in Tuscany is a 100% Sangiovese with grapes from a single vineyard. This is a full-bodied wine with notes of cherry, spices, vanilla, liquorice among others. It is a complex and well-structured wine with a long aftertaste. Il Nocio Nobile di Montepulciano DOCG 2011 from Boscarelli Marchesi De Ferrari Corradi is a 100% Prugnolo Gentile (Sangiovese Grosso) wine. It is a fresh and fruity wine with a smooth and full-bodied taste. An elegant wine all over. Barolo DOCG Bussia 2012 from Giacomo Fenocchio in Piemonte is a 100% Nebbiolo wine. It has intense but still very smooth notes of rose, liquorice, spices. At the palate, it is very silken-like and full-bodied with very elegant tannins. This wine tasting was indeed an interesting opportunity to be able to discover a lot of wineries and their wines together with other experienced writers and wine professionals. The beautiful location, the lovely dinner and late lunch, as well as, the great company gave an added value to the experience overall. The possibility to unite beauty and wine is indeed a fantastic way of enjoying Tuscany. For those of you who are going to Tuscany this year, I can warmly recommend a visit to Montenero and to Hotel La Vedetta. The fact that you got this invite is additional proof of how awesome your work & reputation is receiving. Your blogs are fabulous. This is an awesome blog! 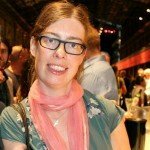 Great info for anyone interested in wine tasting! I love the idea of “experience” vacations — in this case, wine tastings and/or tours. I think it’s a great marketing idea. I hope they find much success with it. It sounds like a wonderful trip. Thanks for sharing about the beauty and wine. Great combo! I had to immediately tweet this to my girlfriends. Then, I had to open a bottle of Cab. Jealous doesn’t even begin to describe it. Amazing job with this post. Thanks Christy, for spreading the word. 🙂 And great you liked my article about the wine tasting marathon. I’m ready for some wine after reading this. Yummy. Wow.. great trip and your pictures are amazing. Still loving the new header and the colors.. Perfecto! True…how do I do that?